Die Cutting Essentials is a magazine devoted to die-cutting. 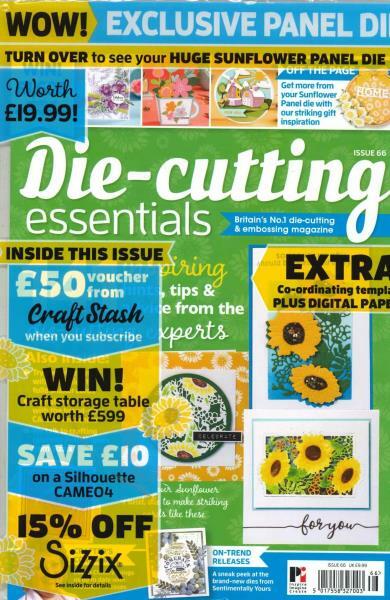 Buy a single issue or subscription to Die Cutting Essentials magazine. This magazine is the essential source for die-cutting inspiration for all papercrafters; it incorporates quick makes for beginners with more in-depth advanced techniques for more experienced crafters. Each issue is packed with fun, creative, inspiring on-trend ideas and a free die worth at least £10!